← The Pinquins in The Norwegian Church! 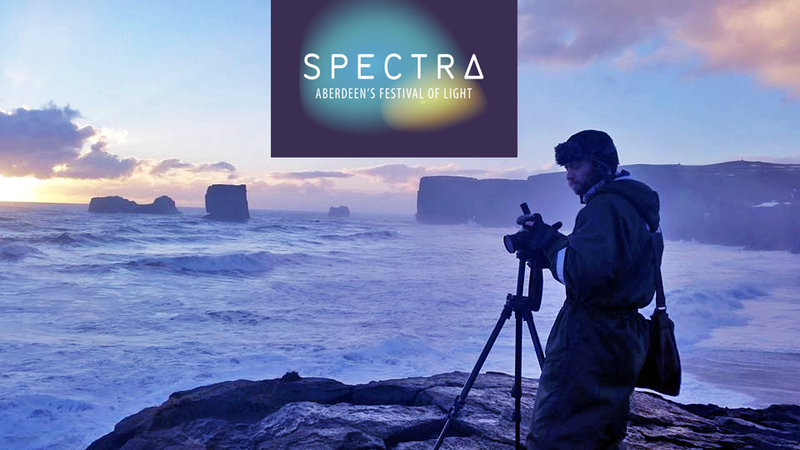 This is photographer Andrew Brooks preparing a new film for the Spectra Festival of Light in Aberdeen next month (February, 19th-22nd). This film has been created for a 320° screen, the same that was used in last year’s Manchester Festival of Light’s ‘Immersion’ exhibit. I am sure that Andrew will take full advantage of shooting the film in Iceland during the winter. This season in particular yields some impressive and awe-inspiring views of the natural world. I will look forward to starting the soundtrack for this film soon and will keep you updated. Posted on 28/01/2015, in General and tagged Aberdeen, Andrew Brooks, Curated Place, Iceland, Immersion, Jack White, Spectra Festival Of Light. Bookmark the permalink. Leave a comment.